Class Info found on the Picket Fence Quilt Co website as well. This one is coming up fast, but luckily we have plenty of great sock yarns + needles in stock. Plus, there is no prep work! 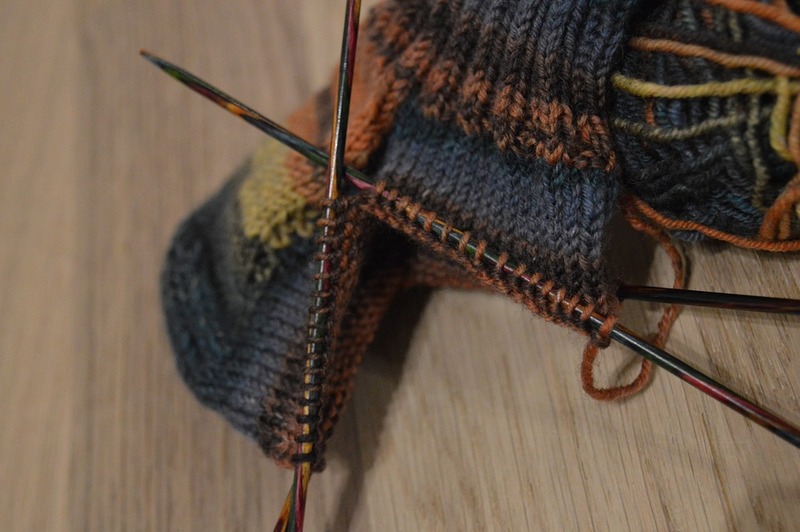 Traditionally knit socks on double point needles using sock weight yarn, knit from the cuff down with a flap heel and wedge toe. 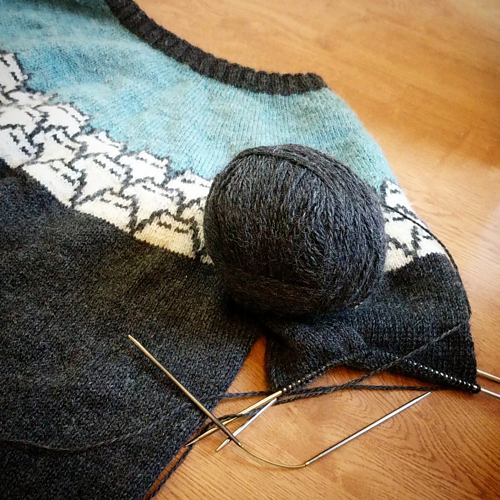 Great starting point in your sweater knitting/fitting expeditions. Basic drop shoulder sweater knit in pieces using worsted/aran/bulky yarn, knit to your gauge, and your measurements, then seamed together. This pretty piece is knit using modular knitting for the front panel and a unique body/sleeve joining + construction. This sweater is just the cat’s meow (or dog’s woof)! Knit in the round from top down you will have colorwork knitting as well as steeking to cut open the cardigan at the end. No fear, it’s really a simple process. 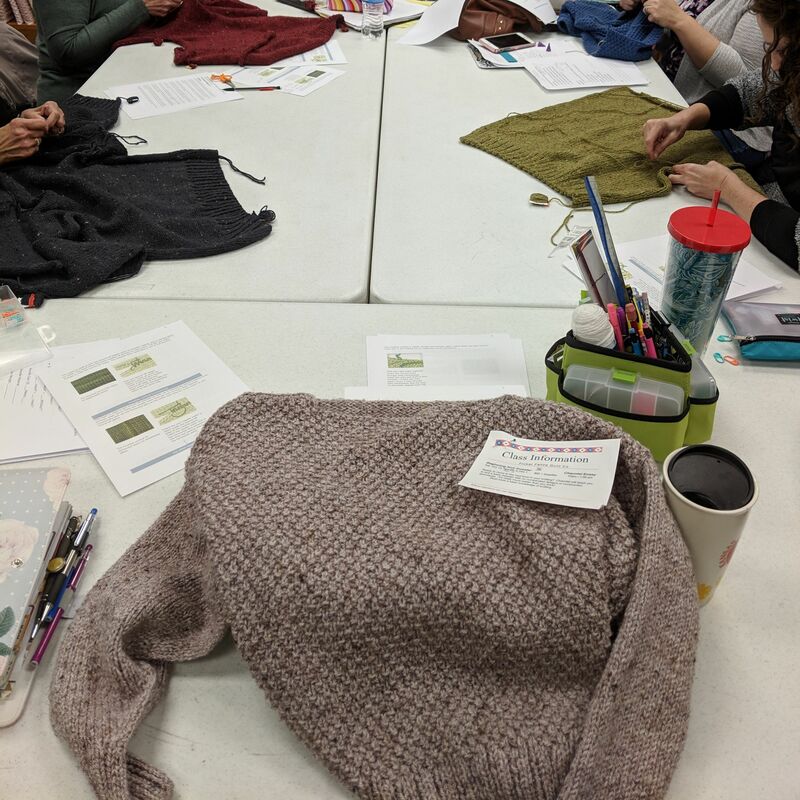 There is knitting prep for this class that you will need at least 2 weeks to complete, get signed up soon & I will contact you with prep instructions. This sweater involves A LOT of knitting so classes are spread a month apart. 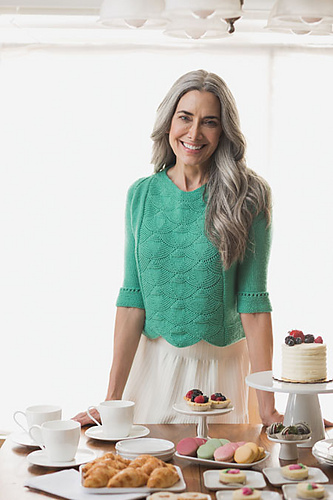 You will have the choice of working the steeked cardigan or the pullover version. I am converting it to a bulky version as well, currently working on the translation. Learn the technique of knitting brioche; one color + two color flat brioche as well as one color + two color in-the-round brioche. create the length you desire. There is minimal class prep before class so make sure you touch base with me after registering. Always wanted to learn to knit? Here’s your chance. 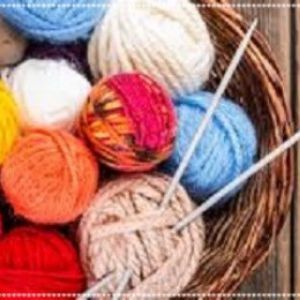 Join Chauntel as she teaches the basics of knitting. 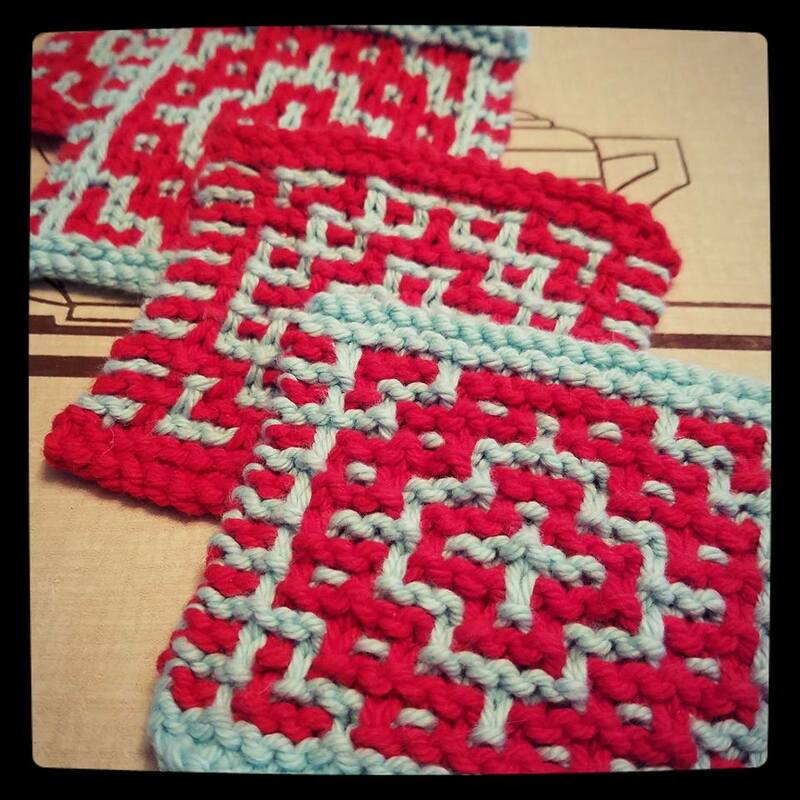 purl stitches and reading patterns. as we learn the cure for this common syndrome. Must have previous sock knitting experience. beginner up to advanced knitters. the shoulder seams and you’re done!